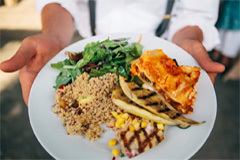 One of the most important components of the wedding day that will leave a lasting impression upon you and your guests and is responsible for a large portion of your wedding planning budget is the meals that will be provided at the reception. 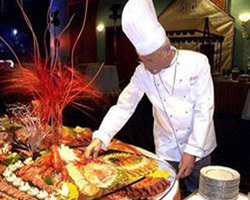 Therefore, taking great care in choosing a caterer is sensible, and the rewards reaped will be a fine tasting meal at a price you expected in addition to contented guests in attendance at your event of a lifetime. If the wedding reception facility where your banquet is held is providing the catering, asking the head chef the right questions can facilitate your evaluation. If responses aren’t fitting, inquire if the facility allows outside catering. Are we able to create our own menu or are your menus set? Once we choose a menu, can we sample the food? If we have special dietary needs, can you meet them? What is the latest date we can submit the final guest count? Could you provide references from recent weddings you have done? Will the children’s meals be at a discounted price? Can we view photos of previous receptions you have catered? Is coffee, tea, and soft drinks included in the total price quoted? Is the necessary tableware also included in the total price? Will the total cost quoted today be the same on our actual wedding date? Where do you prepare the meals you will be serving? Are you acquainted with the reception facility we have chosen? Will you be supplying all the essential cutlery? Are you going to need additional kitchen equipment or storage facilities other than what the reception venue provides? How many wait staff members will be supplied and what will they wear? 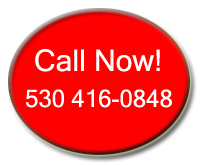 Does your services include cleaning of the facility once the event is over? 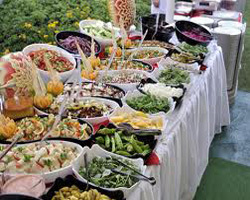 Careful consideration in selection of the right caterer can be accomplished with asking these few basic queries, and the remunerations by doing so should procure satisfactory results. It’s the most important day of your life, and retaining an applauded caterer to provide a very important service gives added assurance that this indispensable constituent of the wedding day will progress exactly how you envisioned. Visit our wedding planning resources webpage for more information about caterers and other wedding vendors located in Lake Tahoe. You can also review our all-inclusive wedding packages that combine many different services into one bundle, which will assist you in simplifying the process of planning your upcoming wedding in Tahoe.